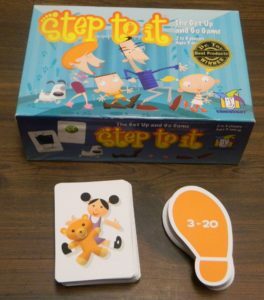 Shuffle the step cards. Place twice as many cards as there are players face up in the center of the playing area. 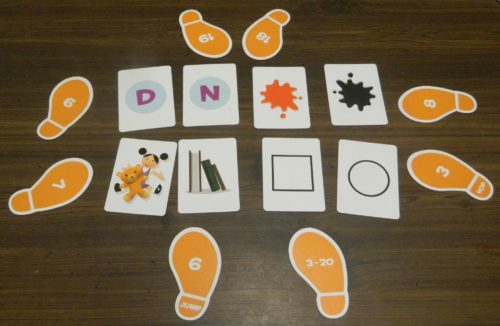 If there are only two players, place three or four cards per player. 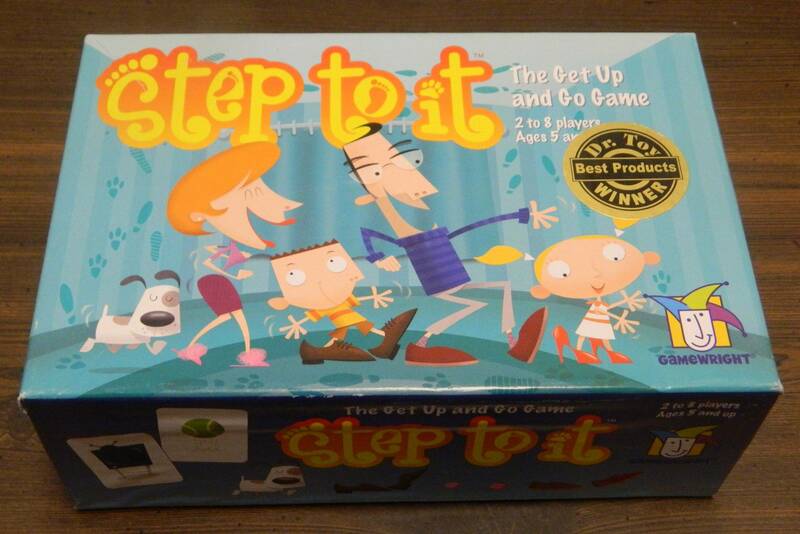 The rest of the step cards are placed face down off to the side. Shuffle the goal cards. 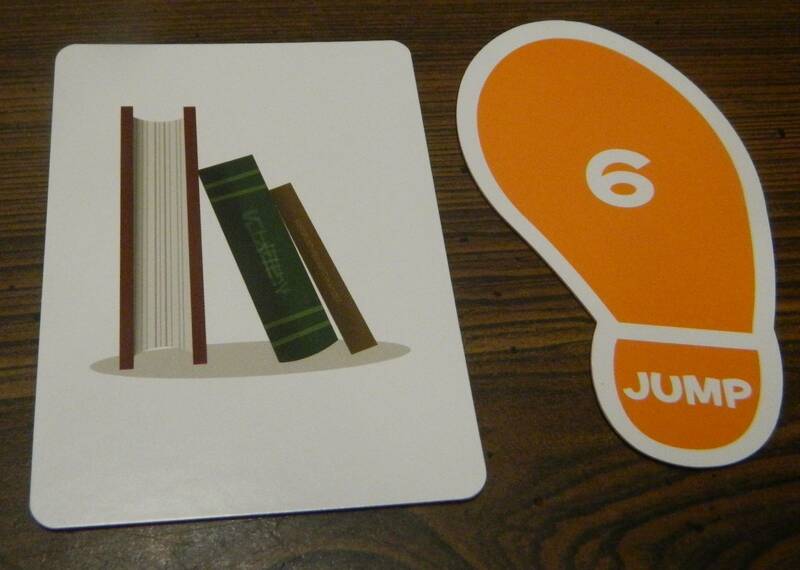 Place the same number of goal cards as step cards you did in the previous step. You can choose which side of each card you would like to place face up. Look over all of the face up cards to make sure that there is at least one object within range that the card could apply to. If there are no matching items, replace the card with a new card. All of the cards that weren’t used are returned to the box. The player with the most colorful socks will start the game. The player to the left of the current player has chosen a jump six card. 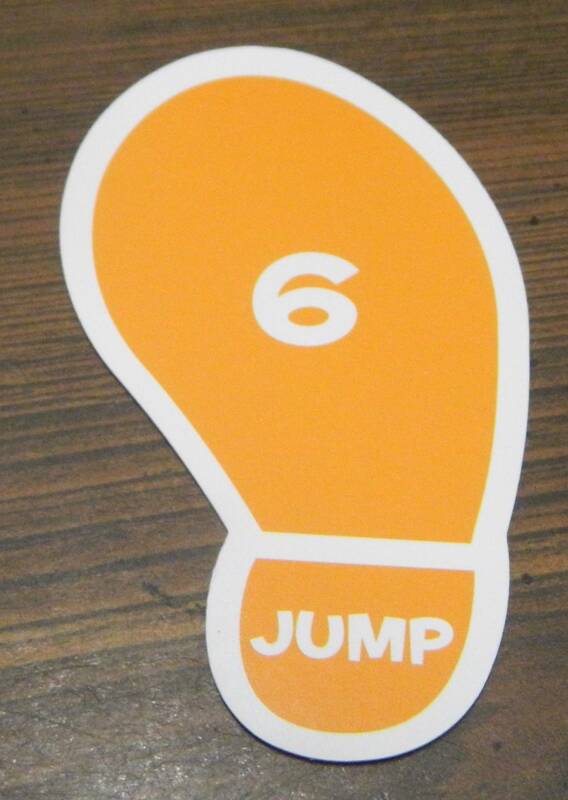 The current player will have six jumps to reach one of the goal cards. Object: You must choose an object that is the same as the object on the card. Color: You must choose an item that is the same color as the card. Shape: You must choose an item that is the same shape as the card. Letter: You must choose an item that starts with the same letter as the card. This player has six jumps in order to make it to a book. A unique experience unlike anything else I have ever played. An enjoyable experience for younger children as it keeps them active. Too silly and simplistic to appeal to anyone other than young children and their parents. It is quite easy to cheat and succeed every time.